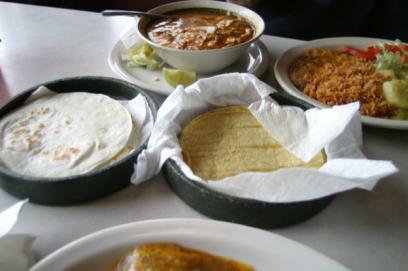 It is obvious to anyone paying attention that Americans have an obsession with Mexican food. Simply take a look at our fast food chains, food courts, strip malls and everywhere in between. You cannot say the same about any other ethnic cuisine. Sure, Italian is right up there, but besides pizza (which is mostly Americanized anyway), Italian cuisine has not quite taken over like the rampant spread of tacos, burritos and other notions borrowed from Latin culture. What is less obvious to me is, why? When I made the commitment to eat local food, I assumed that my love of Asian cuisine would remain an exception. "No, I don't know where that meat comes from," I told myself, "but it's so darned good." Somehow, this "ignorance is bliss" approach turned out not to be so blissful after all. I started paying more attention to Chinese, Vietnamese, Japanese, and Thai food menus, feeling less okay with eating meat whose source I couldn't track. There was no denying it: all of this talk about the cost of cheap food was making an impact.